Our 2018 was an amazing year. A year where fantastic and new collaborations were born, a year that allowed us to travel a lot all around Italy and to pack our bags for incredible venues, a marvelous year full of beautiful people met during our journey. 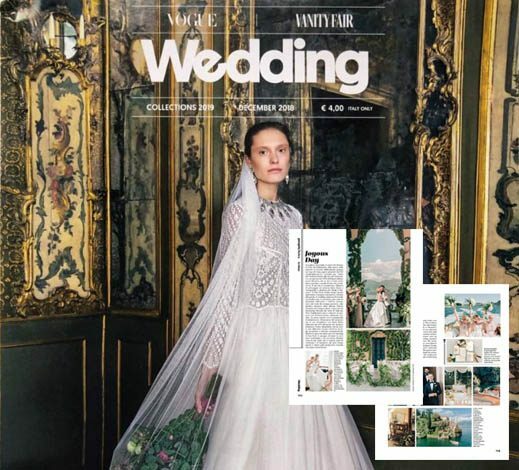 So we ended it like this, with the publication of our “fairytale” of Kiira and Arthur in Como on two magazines that we particularly appreciate: Vogue Italy and Vanity Fair.